In my time as a birdwatcher I have learnt to identify any large pigeon-like bird crashing through the trees as a blundering Woodpigeon. These very successful birds are with us all year round fattening up on our winter bird tables. Turtle Doves however are a very different story* – more remarkable and more refined, no clattering of wings, just a delicate flutter and an enticing soft purr. The Turtle name is presumed to come from the latinisation of their call: turr turr. The Turtle Dove is currently considered a high conservation priority in the UK because of severe population decline, and is classed as vulnerable on the IUCN’s red list of threatened species. The Turtle Dove (Streptopelia turtur) is the smallest member of the European dove family but it flies the furthest during migration; a bird nicknamed Titan was radio tracked in 2014 and found to have flown 11,200 km from Mali back to its nesting site in Suffolk. He flew up to 700 km per night, at speeds up to 60 km per hour! This year our North York Moors Turtle Doves have arrived back from Africa on time despite the cold north winds in early spring. Our first bird was seen on 16 April near Pickering. This was perfect timing for the start of my role as the HLF funded Turtle Dove Project Officer a few weeks later. As the spring has developed our vital group of volunteer bird surveyors have been out and about recording Turtle Doves in known sites where they were present last year and in new sites offering similar habitats. Our project area survey is one of only two formal, locally based Turtle Dove surveys in the UK this year and the only one in the north of England. 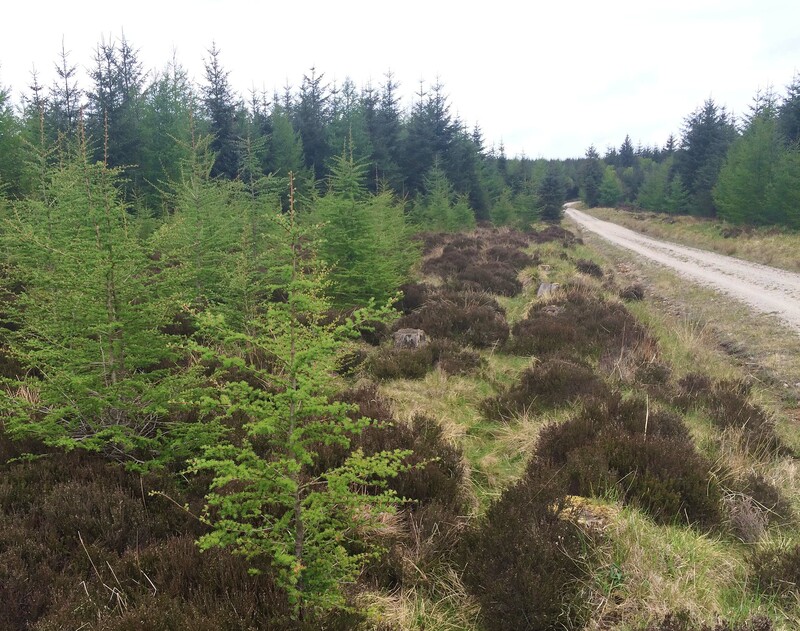 We’ll be looking to extend this surveying into the Howardian Hills Area of Outstanding Natural Beauty (AONB) in 2018. One of the known sites for Turtle Doves is the National Park Centre at Sutton Bank. Up to three birds were recorded here in May visiting the bird feeding station, usually when there were fewer visitors around. Turtle Doves can be shy and wary. 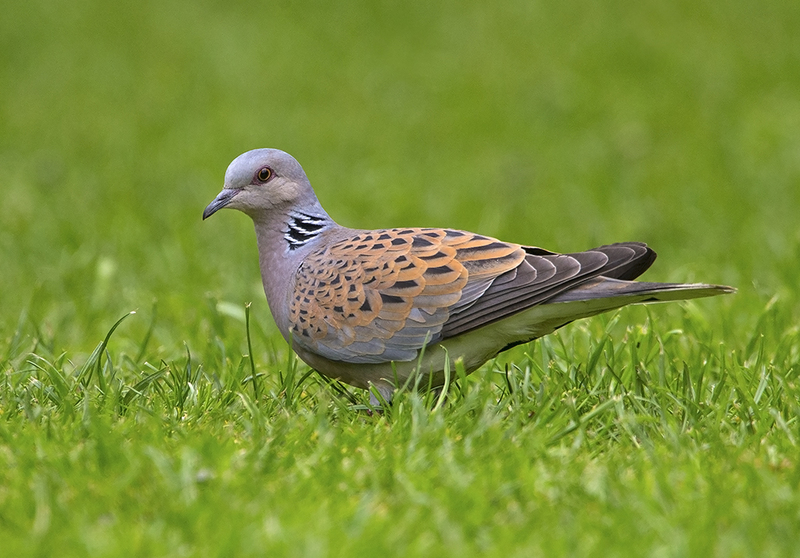 We are collecting lots of data on the birds at Sutton Bank and have a special Turtle Dove sightings book in which we want visitors to note their sightings – so if you are up at the Centre and you see the Turtle Doves, please add your report. Using reported sightings we’ve identified the initial villages along the southern edge of the North York Moors which have small populations of the bird (< 6) and where we hope to start building community links and engagement. During the next couple of months if you’re lucky enough to see or hear a Turtle Dove in or around the North York Moors, please let us know. The best time to hear them is either very early in the morning or late in the evening. *Footnote: The Turtle Dove has long been culturally associated with true love and devotion. This entry was posted in Biodiversity, Conservation, Ecology, Funding, Local Community, National Park, Natural Environment, Natural Heritage, North York Moors and tagged Birds, Habitat, Heritage Lottery Fund, Howardian Hills AONB, Sutton Bank by North York Moors National Park. Bookmark the permalink.